A while ago I wrote about how you can use depth perception (in astronomy we call it parallax) to measure the distance of nearby stars. While this works well, it only works if the stars are closer than about 1500 light years. So how do we measure more distant objects, such as nearby galaxies which are millions of light years away? For that we use an interesting type of star known as a Cepheid variable. Cepheid variables are stars that vary in brightness over a period of days. The first such star to be observed was Delta Cephei in 1784, hence the name. For nearby Cepheids, we can determine their distance via parallax. We can also determine their apparent magnitude, and given their distance we can determine their absolute magnitude. I’ve written about the relation between apparent brightness and distance earlier. It turns out there is a linear relationship between the average brightness of a Cepheid variable star (its luminosity) and the period at which its brightness varies. 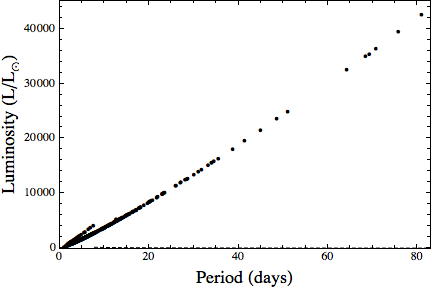 In the figure below I’ve plotted the luminosity of some Cepheid stars vs their period. You can see there is a nice linear relation between them. Brightness vs period for Cepheid stars. What this means is that if you determine the period of a Cepheid variable you can calculate its absolute magnitude. By measuring its apparent magnitude you can calculate its distance. From the Hubble telescope we have observations of Cepheid variables in nearby galaxies. 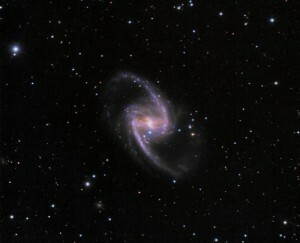 From this we can measure galactic distances up to about 100 million light years. So by using parallax we can determine the distance of nearby stars. We can also prove the Cepheid variable relationship. From the Cepheid relationship we can determine distance to nearby galaxies. 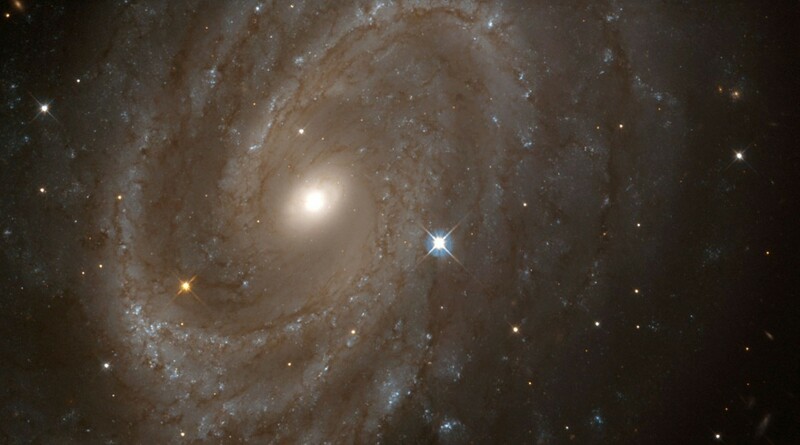 For more distant galaxies we have to use a different trick involving supernovas, but that is a story for another time.